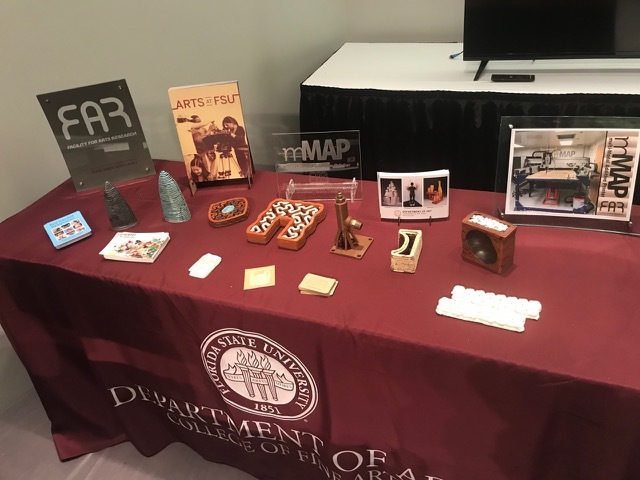 On Friday March 16th, FSU Art adjunct instructors Marty Fielding and Eric Adams exhibited artwork and presented a summary of their recent research on ceramic 3D printing at the National Council on Education for the Ceramic Arts (NCECA) conference in Pittsburgh, PA. The two main foci of the research are redesigning the clay print-head for the multi-Modal Additive Printer (mMAP) and collaborative artwork. 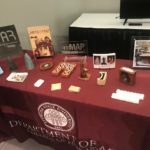 The talk also discussed mission and projects at FAR, the history of the mMAP, the FSU Ceramics area and the Ceramics Digital Media concentration. 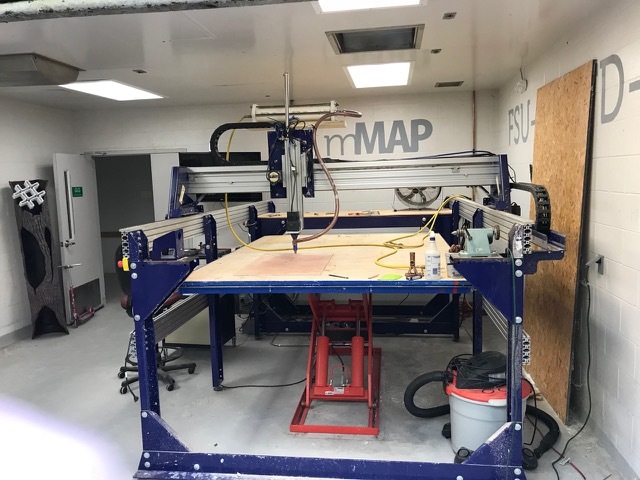 The mMAP is unique 3D printer, due to its scale of 6’W x 8’L x 4’H. Adams and Fielding have modified the clay supply mechanism and extrusion size to take advantage of the potential scale. The current configuration includes a canister that holds approximately 20 pounds of clay. Compressed air pushes the clay through a 5mm auger-driven print-head that allows more control through its ability to stop and start throughout the printing process. The presentation provides a window into the current status of the machine, but the work towards refining and expanding print size and quality is ongoing. 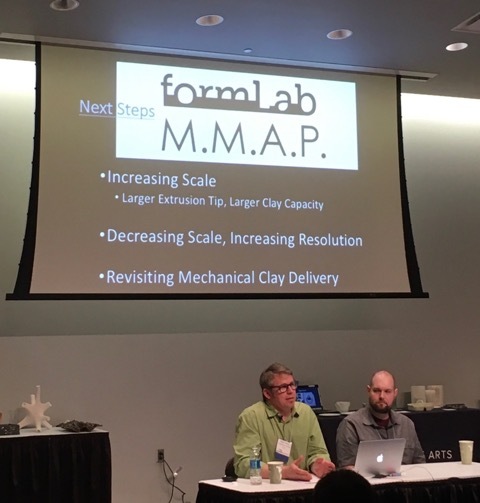 This is the third of a three-year Clay Fab lab pilot program at the NCECA conference. FSU professor Holly Hanessian and former FSU adjunct professor, Windham Graves presented at the conference in 2016. An auditorium was dedicated to digital tools and processes and an exhibition of work made by the presenters was on view. Independent artists and other universities such as Cornell, University of South Florida, and West Virginia University presented. Information tables about each of the projects presented were available for attendees to peruse between presentations. Adams and Fielding’s collaborative artwork was made by sharing 3D models with each other and creating a second model in response. These were printed as pairings. 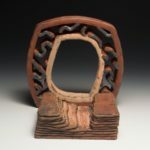 The artists sought to reference ritual objects, show the mark of the printer, and emphasize the natural qualities of the material. A particular common interest is showing the interior structure of the print. Marty Fielding is a ceramic artist, Operations Manager at FAR and Adjunct Professor. His studio practice incorporates digitally fabricated components into compositions of sculptural vessels. 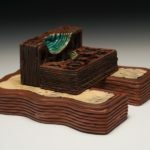 Eric Adams is a multi-media sculptor, Ceramic Labs Manager and Adjunct Professor. 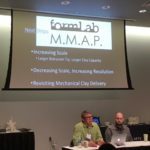 The goal of this collaboration is experimentation with technology, material and artistic potential as it relates to the mMAP. 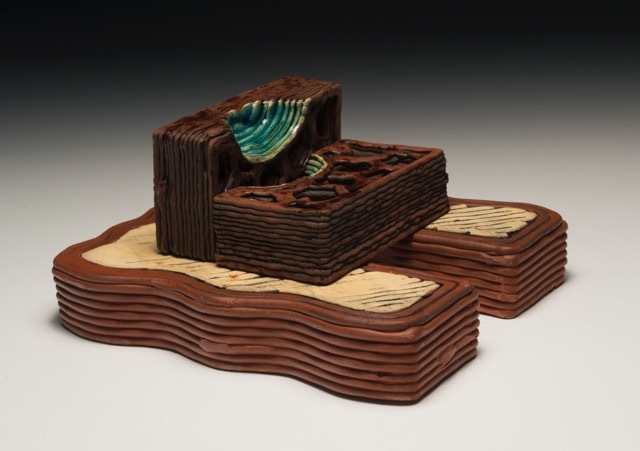 Fielding will teach the Digital Ceramics course next fall.